Speaking before the 2019 Desert Town Hall series in Indian Wells, California, this week, Christie said that while he doesn’t envision himself mounting a bid against Trump, he told attendees, “Never say never,” according to KESQ. Christie, who is on a media blitz promoting his soon-to-be-released memoir Let Me Finish: Trump, The Kushners, Bannon, New Jersey and the Power of In-Your-Face Politics, ended his 2016 presidential run following a disappointing finish in the New Hampshire primary and later endorsed Trump. In his remarks, the former governor also criticized the White House’s handling of the partial government shutdown, which drew to a close Friday after the president and congressional leaders agreed to re-open it until February 15. The former New Jersey governor has garnered headlines in recent days thanks to for his book’s juicy excepts on his rocky relationship with the president’s son-in-law. [Steve Bannon] made clear to me that one person and one person only was responsible for the faceless execution that Steve was now attempting to carry out. Jared Kushner, still apparently seething over events that had occurred a decade ago. 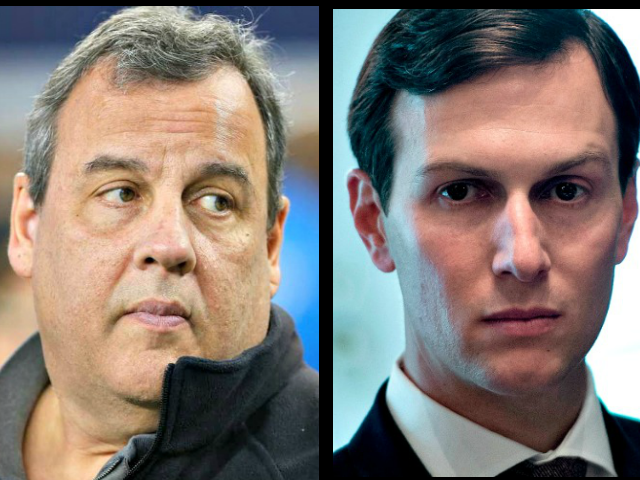 Christie prosecuted Kushner’s father, Charles, a high-powered real-estate developer in 2005 while serving as U.S. attorney for New Jersey. The elder Kushner served 14 months in federal prison after pleading guilty to 18 charges, including tax evasion and witness tampering. In December, Christie was reportedly under consideration to replace John Kelly as chief of staff — a position the former lawmaker turned down, citing the release of his book and other professional commitments.